Pretty Little Liars: The Perfectionists - Pilot - Advance Preview: "Did You Learn Nothing From Rosewood?" 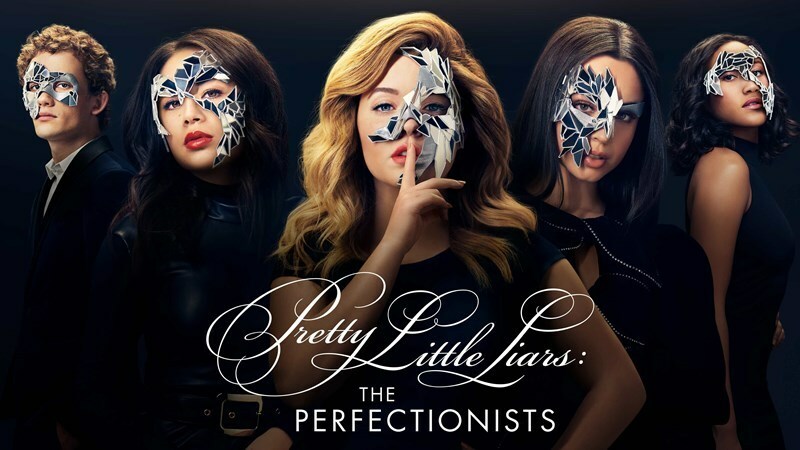 Almost two years after the series finale of Pretty Little Liars, the next offering in the PLLverse is here with the ten-episode first season of Pretty Little Liars: The Perfectionists. Unsurprisingly, it's Mona who is the one to draw Alison to Oregon where the two of them are new faculty members at Beacon Heights University. 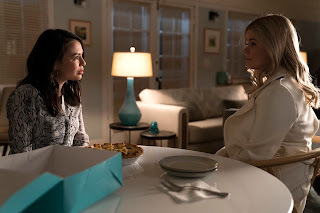 A brief reason is given as to why Alison has moved without Emily (and I wouldn't hold your breath for any of the original liars to make an appearance any time soon) but for the most part we quickly delve into this new world with all the new drama it entails. Whilst the show should be anchored by Mona and Alison, Mona is perhaps a little underutilised in the pilot itself, though there are hints at an underlying storyline for her which echos her former self from the flagship series. Our new liars are all friends already when we meet them in the pilot, but of course this wouldn't be Pretty Little Liars without some secrets, and there are plenty to go around within the group itself, including whether they even like each other or not. We're introduced to our 'Perfectionists' who are exactly that, on the surface: Ava (Sofia Carson) - a fashion designer/social media influencer/hacker, Caitlin (Sydney Park) - an overachiever with a sports background and Dylan - a gay cellist. They're all connected to each other by Nolan (Chris Mason) who is perhaps the 'Alison' of the group, if you consider who Alison was early on in PLL's run. Each one of them have secrets, some of which are divulged to the viewer throughout the pilot which add depth to each of them, and your opinions on any of these characters may change multiple times throughout the hour. 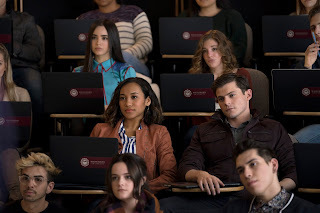 These four characters are also all connected to Alison through her English class (just go with it) which I'm betting is something that's definitely going to factor in as the show progresses. With the pilot introducing us to some really interesting new characters and possibly subverting viewer expectations at the same time, Pretty Little Liars: The Perfectionists sets itself up to be a worthy successor to the original series. With technological twists, secrets, deaths and coverups, it puts a new spin on topics covered within Pretty Little Liars without feeling like treading old ground. There are perhaps some tropes utilised that are slightly damaging and could've been altered, but overall it's definitely shaping up to be a better entry into the PLLverse than Ravenswood and is a dramatic and enthralling hour. Pretty Little Liars: The Perfectionists premieres tonight at 8.00 on Freeform.